Wazdan has been firing on all cylinders recently after their impressive performance at the Sigma Gaming Awards this year, but they have lost some steam it seems with Fruit Fiesta. This colourful pokie has a fun theme but it just doesn’t stand out from the crowd. 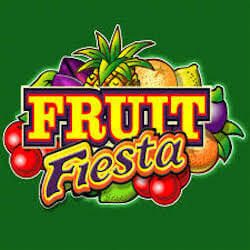 There are already many fruit themed and Mexican themed slots available that all feature many similar elements to Fruit Fiesta. While playing it may give you a sense of Deja Vu, it in no means implies that Fruit Fiesta is not a great pokie. For a relatively new developer like Wazdan you just expect more effort to be put in to make their titles stand out. It is built on a 5 reel 20 payline design along with full mobile and desktop compatibility. The colourful graphics and solid soundtrack works great on either format to set the mood for the game. The red chilli pepper symbol players will see appear on the reels is the in game wild icon. The sheriff acts as a scatter icon and triggers big prizes when three or more land on the reels. The main bonus feature in this pokie is a special pick-me bonus game where players must break open one of two piñata which then award a special prize. To bolster the game’s features, Wazdan have also included a Gamble option where players can stake any wnning payouts on a 50/50 wager which doubles your staked amount. While this doesn’t make up for a lack of free spins or jackpots, it is at least one way you can push your payouts. One feature that does make Fruit Fiesta stand out however is the inclusion of Wazdan’s unique volatility control option where players can set their own pokie play style. Two weeks ago at the 2017 Sigma awards, Wazdan made a huge splash by organising a flash mob for the crowds gathered at the event. Wazdan brought the Malta Philharmonic Orchestra to the venue and held a traditionally inspired flash mob. The reasoning was twofold for Wazdan. Firstly they wanted to highlight the upcoming Malta cultural event, the City of Culture Valetta. They also naturally wanted to promote their company, its games and their innovative new volatility control features. The flash mob featured 60 traditional Maltese dancers and the orchestra played the Malta Suite Waltz by composer Charles Camilleri. The company showcased some of their new slots planned for 2018 including Los Meurtos, Captain Flynt and Mayan Ritual.